Millions have seen and heard the amazing YouTube performance of Toto's Africa by the Slovenian choir Perpetuum Jazzille as they re-create the sounds of a rainstorm solely with body percussion. 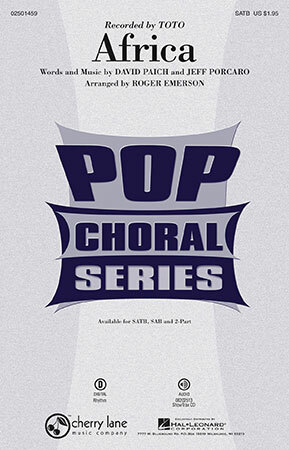 This accessible arrangement will allow your choir to wow your audience in the same way! Highly recommended!